Home / Quite the interesting winter! 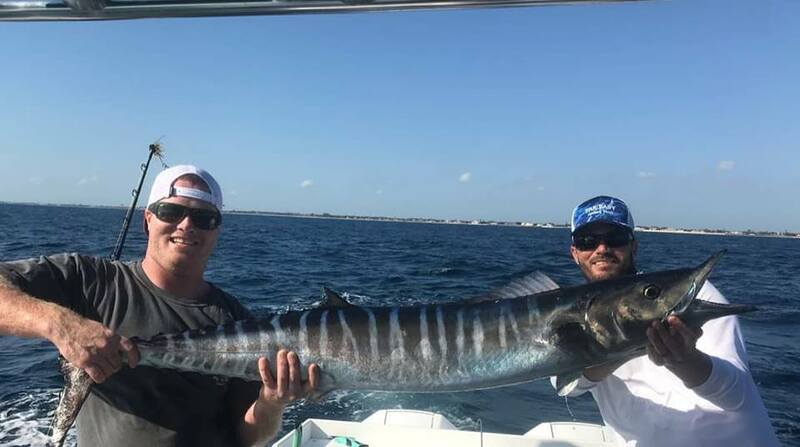 Local Jamie McGroarty with a fine Wahoo caught down south! Quite the interesting winter we're having this year. Seems the entire East coast has had more than enough rain. Scientists say it's because this is an El'Nino year. Warmer ocean currents come closer than usual. Yes, we had a couple of frigid days, but the absence of snow really backs it up! What this all means is that it may be an early start to the 2019 season! Last season everything ran about 2-3 weeks late, so we'll just have to see what unfolds. These conditions are probably to blame for such a slow Cod run this winter. Water temperature and currents affect the migratory paths of all fish species and the baitfish especially. The Cod that are not living on wrecks travel, following the bait fish and also travel to the locations that they spawn at, provided there is bait fish to feed on. Basically no feed no fish!! Once again we will be waiting for news on the regulations for the 2019 season. There are rumors about this and that, but I am not going to speculate at this time, I like to deal with facts. What remains the same is the redundant inaccuracy of stock assessments. 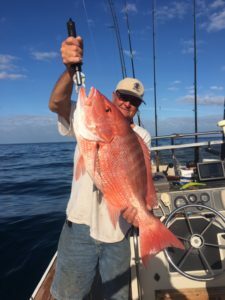 Maybe this season there will be some good judgement from the National Marine Fisheries Commission and the New York Department of Environment Conservation. Also, and not less important is angler participation. There are so many more boats and people these days, it's important to abide by the set regulations. Anglers can make a difference by just taking what you need for your family especially if you have the ability to go fishing often. I'd much rather eat fresh fish than frozen. 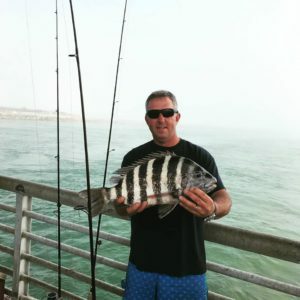 Another practice that can be very rewarding, and fun too, with family and friends is "Catch and Release". Makes for great competition and the fish get to fight again!! This may sound corny to some, but as fishermen and anglers it is up to all of us as well, to protect our resource. 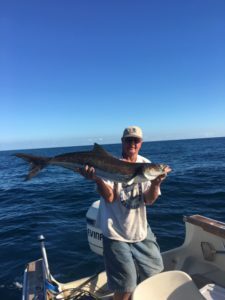 Gary Stevens caught a delicious Cobia too off Vero beach!